The kitchen and bathroom are two of the most essential parts of any household or small business. After all, you can sleep on the floor and you can even work on the floor, but the last thing you want to be doing is going without washing facilities, or having staff who are unable to use the toilet when they need to. That’s why, when it comes to plumbing maintenance and repairs, forgive the pun, but we understand the ‘urgency’ of the situation – so, if you’re stuck with no water or a loo that’s out of action for instance, we’ll be there to help sort the problem in no time at all. At Robert J Dutton, we’ve been serving the people of Loughborough for over 40 years with plumbing jobs little and large, ranging from a leaky tap to a complete bathroom installation. And, it’s because of our ethos that no job is too big or small, that we are small enough to look after all of our customers personally and large enough to know what we’re doing. We believe that offering a personal touch and friendly service should go hand in hand with giving you the peace of mind and knowledge that you are getting a job done efficiently and thoroughly. Our Loughborough plumbers are members of the Association of Plumbing and Heating Contractors as well being Worcester Bosch Gold accredited. This means that we are fully equipped to handle all domestic and commercial repairs that we come across, including boiler installation and repair, central heating systems, house plumbing for renovations, complete bathroom installations and gas fire installations and inspections. Our honest and reliable approach means that we will take a look at any plumbing repairs and maintenance jobs and give you a real picture of the sort of job it will take to get it fixed, the cost it will involve and let you know whether you need replacement or repairs. We value the reputation that we have built up over the years for our friendly and professional approach and that’s why we will continue to put the needs of our customers first in everything that we do. 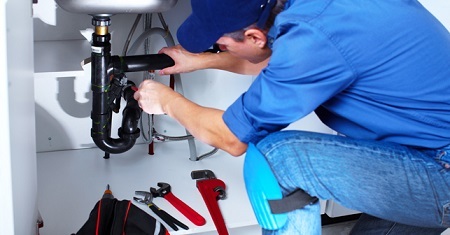 Our friendly and reliable team includes seven trained plumbers and heating engineers who are experienced in dealing with plumbing and heating issues and repairs of all kinds. They’re a friendly bunch who have taken on a wide range of jobs in their time and they enjoy a challenge. Fact is, while we can’t fix broken bones or sort your car problems out – when it comes to plumbing – we’ll repair anything! We install only high quality products from leading manufacturers to ensure you don’t encounter any issues further down the line and we will also provide advice on the best ways to keep things running as efficiently and for as long as they can after we’ve gone. Contact Robert J Dutton Today! If you have any issues with plumbing maintenance and repairs in Loughborough, whether it’s urgent, or it’s been in the back of your mind for a while, contact Robert J Dutton today for a free consultation, help, information and advice. We will look at all plumbing repairs and maintenance jobs of all sizes to see how we can get you back up and running as soon as possible.